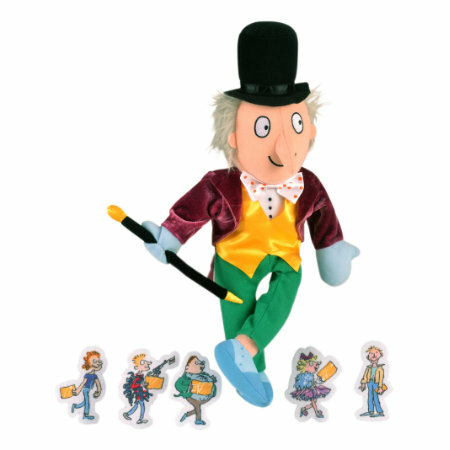 This fantastic Hand Puppet is instantly recognisable as one of Roald Dahls most beloved characters, and comes with Finger Puppets of the key characters from the story. All the Finger Puppets have been specially designed to mirror the infamous Quentin Blake illustrations of these brilliant characters. The Willy Wonka Hand Puppet comes with Finger Puppets in the form of all five golden ticket winners - Charlie Bucket, Violet Beauregarde, Augustus Gloop, Veruca Salt, and Mike Teavee.